The Maltese archipelago of islands situated in the middle of the Mediterranean has a rich history and culture spanning over 7,000 years. The islands are considered to have one of the best climates in the world, with mild winters and long, warm summers. Malta is also regarded as one of the safest countries in the world with a remarkably low crime rate. This family-oriented culture is warm and welcoming, with the benefit of speaking two national languages, Maltese and English, apart from basic knowledge of other popular languages within the country such as Italian and French. 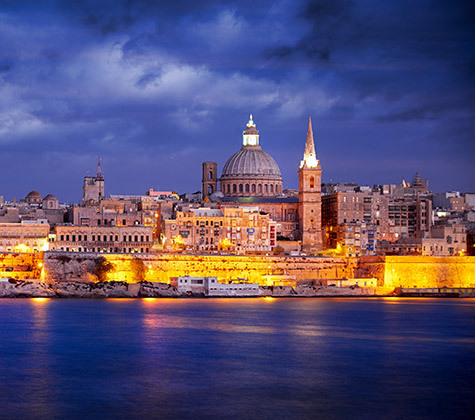 The archipelago consists of 5 islands, 3 of which are inhabited - Malta, Gozo and Comino, with a population of 421,000, covering a relatively small 316 sq km, making the islands easy to explore and navigate. Central regions are the highest sought after areas in the country with northern areas increasing in popularity throughout the summer months.